The ultra-high performance Triangle TR968 UHP tire features a stylish, directional pattern that offers exceptional handling. Its wide footprint delivers commanding grip while the rigid blocks result in crisp steering response and excellent cornering power. In wet conditions, the optimized groove pattern ensures quick and effective evacuation of water from the footprint to increase traction and resistance to hydroplaning. The eye-catching tread design also delivers superb ride comfort and stability. P225/45R-17 N/A 1,477 lbs N/A N/A N/A N/A N/A 25"
Purchase includes the Triangle UHP TR968 tire only. The wheel rim shown in the picture is not included. Picture provided is a stock picture from the manufacturer and may or may not reflect the actual product being ordered. 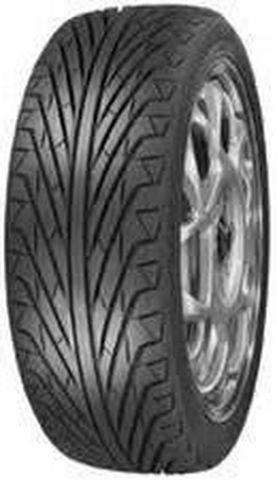 All Triangle UHP TR968 tires are continuously developing with manufactured improvements. With that said, Simple Tire and the manufacturers have the right to change these tire specifications at any time without notice or obligation. Please Note: Specifications of the Triangle UHP TR968 tires shown above are listed to be as accurate as possible based on the information provided to us by Triangle tires. First Triangle tire I had blew out while my wife was picking up our children - sidewall collapsed and Triangle tried very hard to state we had under inflated it. Hard to argue with TPMS data, but they eventually gave in and provided a prorated replacement. Incredibly low tread wear. Wonderful handling on our Mercedes, but I'm spending money on more durable tires with better warranty.